I am so excited! 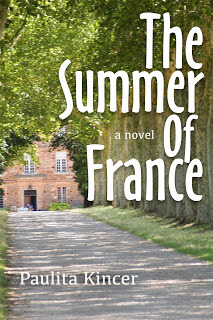 Recently I read The Summer of France, a fast-paced novel written by my blogger buddy Paulita Kincer over at An Accidental Blog. Seeing the characters and action so clearly in my mind as I devoured the book, I wondered how Paulita would envision her book as a movie. I asked the author if she would write a guest blog post and I'm so glad she said yes! Here, then, Paulita Kincer on her book The Summer of France as a film. "With my first book now available in paperback and on ebook at Amazon and Barnes and Noble, Sim asked me who I imagined playing the characters in a movie. Oh, every writer pictures the scenes as her fingers tap-tap away on the keyboard. Sometimes authors dream of that moment in the darkened theater when the title splays across the widescreen and actors bring each character from the page into life. So, I was happy to take up the challenge offered by Sim. First, you should know that my novel is about Fia, a woman from Ohio, who wants to create the perfect family. 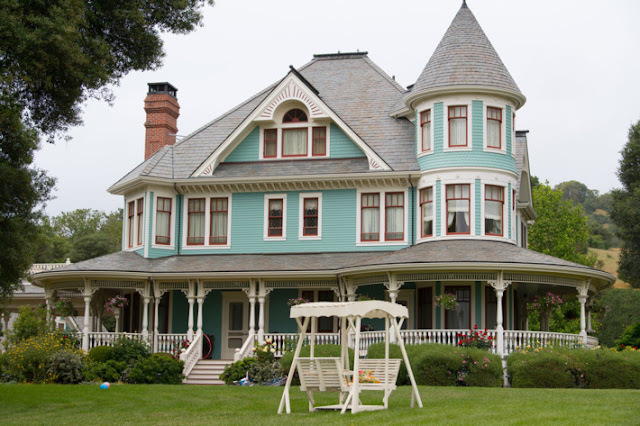 She jumps at the chance to go to France to run her great Uncle Martin’s bed and breakfast, dragging along her husband, Grayson, and teenage twins Kasey and West. Uncle Martin and his wife take off for a cruise the day that Fia and family arrive. Then the twins and Grayson begin gallivanting around the country, leaving Fia to run the bed and breakfast. The book is told from Fia’s viewpoint and in some chapters by Uncle Martin as he remembers how he traveled from Kentucky to Europe at age 17 to fight in World War II. While he battled in Italy, he made a decision -- a mistake – and has regretted it every day since then, especially because it is now catching up with him. Let’s start with Fia. Okay, this may be a stretch, but I can see the energy and quirkiness of Kristen Chenoweth as Fia. Or maybe Minnie Driver for more of a movie star type. Yes, I know she's British, but she plays American all the time. Uncle Martin is in his 80s now, having married a French woman and lived in France since World War II. 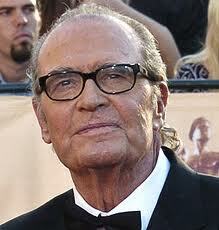 There are lots of fine actors in their early 80s, but I kind of picture a gruff James Garner. Fia's husband Grayson is an accountant who's reluctant to travel overseas. I thought Greg Kinnear might fit this role, but he might be too nice. And I'll throw you one other character. What book set in France would be complete without a handsome Frenchman? I'd love to see Gilles Marini play Christophe. He ends up taking Fia on a motorcycle trip across the Alps to save her idea of family. What do you think? 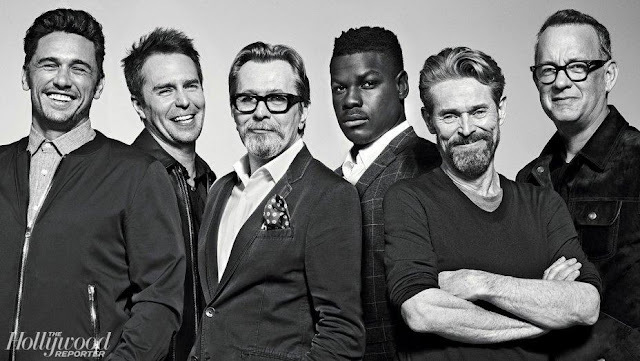 Can you picture these actors traipsing across Provence? " Thank you so much, Paulita, for sharing your thoughts on casting! If any of my readers have had a chance to read The Summer of France I would love to hear what you think too! And for more info or to purchase a copy, visit Paulita at An Accidental Blog. Oh my, I'd go see that movie! Suzie and Bermuda, Face it, this would definitely be a fun cast. I'd want to just go hang around (in France) while they filmed. I think Kristen would be amazing. And if she or Minnie aren't available I still can see Jennifer Garner as Fia. And Paulita, yes it would be fun to hang out in France while they filmed. I sure wouldn't mind watching Gilles Marini! I'd love to see a movie of the book my daughter wrote. I'd even go to France with her to hang out. Great ideas. You have a right to be very proud. What a fun post. So glad you got to read the book already.